This patient had a range of problems resulting from crowding, tooth decay, discolouration and an uneven bite. Porcelain veneers and crowns were used on 20 upper and lower teeth to replace all previous dentistry, to align crowding, to lighten in colour, to create a stable and comfortable bite function and a pleasing, natural-looking smile. I had wanted some work done on my teeth for some time. Then a friend had work done at The London Smile Clinic and he recommended it to me. 19 Porcelain veneers and 1 porcelain crown. It was fine, just a little stiff after several hours in the chair. Excellent. I had high expectations after looking at marketing pictures and I was certainly not disappointed. Very friendly and professional. 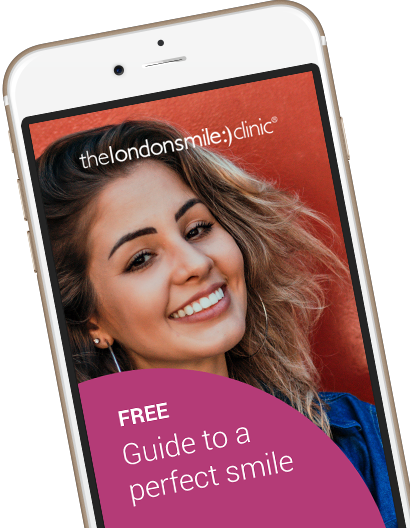 Past dental visits usually provoked some apprehension but not once did I experience this when coming to The London Smile Clinic.